Presenting “what’s happening in the forums” as it becomes a weekly (sometimes weekend) staple on a random day during the week. 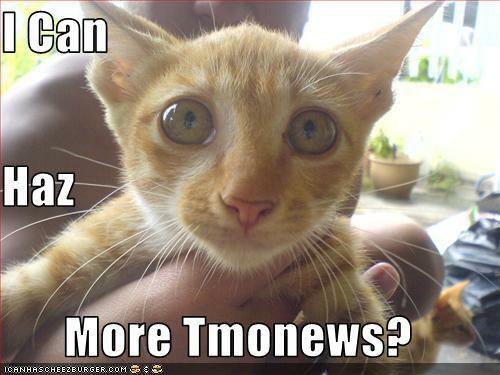 We’re bringing you all the fun that happens inside the TmoNews forums! How about that Fender edition MyTouch 1.2 with Eric Clapton? Chalk up another celeb endorsement from T-Mobile to help bring in the customers. Perhaps you’re still looking for info on that T-Mobile 7.2 Mbps rollout? Other people are looking too; join them in your hunt for faster speeds. How about the Nexus One upgrade change/refund showing Google is actually taking customer complaints seriously and moving swiftly to rectify them. One of our exclusive stories this week was the rumor of a MyTouch “Slide” coming out. Though not everyone thinks it’s such a hot idea, do you? Lots of buzz this week in my in box surrounding the sudden disappearance of the Touch Pro2 from the T-Mobile website, don’t worry, we didn’t think anything of it. Of course, TouchPro2 fans everywhere should be ready for the Windows Mobile 6.5 update next week bringing all sorts of goodies. That’s all for now, unless of course you’re a Modern Warfare 2 fan, then you should check out this thread! Here is today’s best news though. The good folks and friends of ours over at Phonedog have a “Pantech Blitz” going on right now for their One-Paw Bandit. They’ve asked us to help spread the word. It’s not a T-Mobile phone you say? I know but this is how I see it: win it, sell it, and put the money toward a Nexus One/HTC HD2. Simple enough right? Show some love to these guys and play the game, they’ve been among our favorite sites for some time! ← “Hot” Handsets For T-Mobile’s First Quarter? Wow, I never thought I’d be the first post. Anyway, that’s a good idea Tmonews. I’m a huge fan of Wilma Flintstone. I was glued to the TV! And speaking of which, I just learned that there’s a Wilma Flintstone song. Just downloaded it and quite a good tune to jam with while reading articles. Wow, after looking at what a Pantech Blitz was, I’d definitely sell it. YUCK!!! By all means sell it, easy money to put toward something else! i thought it was the pantech matrix pro? not the blitz? oh well, i still played and lost.